Desi Smith/Staff Photo. 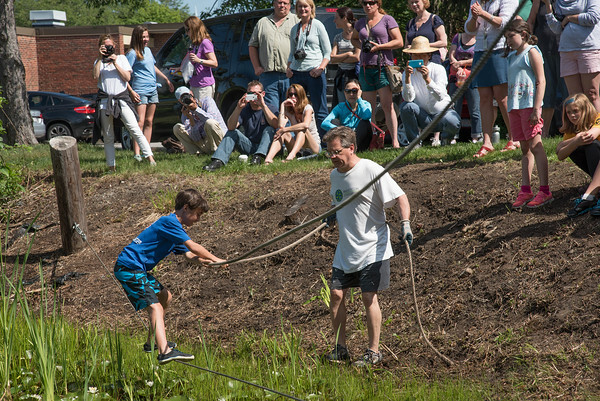 5th grader Hugo Sweet 11,works his way across the lily pond using ropes as parents and teachers look on, during a field day held Monday morning at Essex Elementary School. June 22,2015.